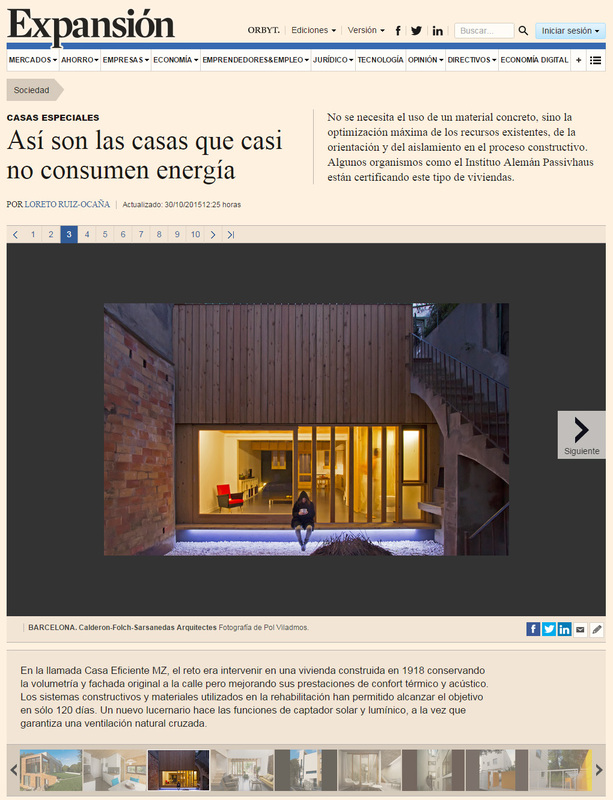 The Spanish economic daily newspaper “Expansión” has published an article about houses that consume almost no energy. 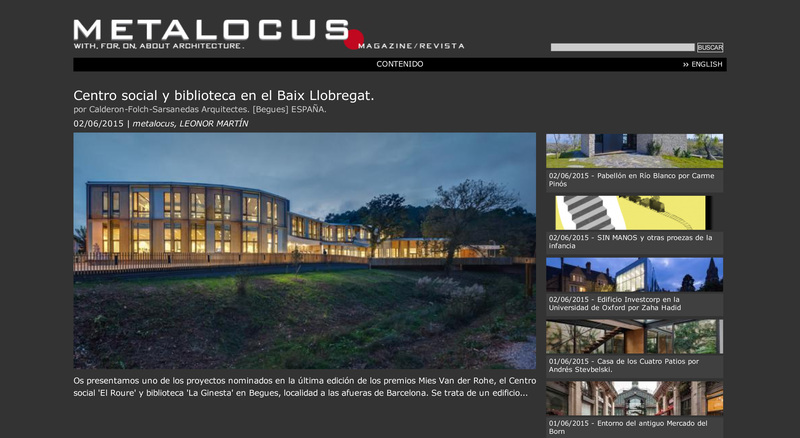 The five of the most significant projects in Spain, including our MZ House, had been selected to show ideas and solutions of Passive houses. It was also explained that there is no need to use a specific material, but only the maximum optimization of existing resources and insulation in the construction process is required. Additionally German Passive House Institute was mentioned as an agency which is certifying such type of houses. A challenge of our Low energy MZ House was described as a refurbishment of a house built in 1918 with preserving the original facades together with improving its thermal and acoustic comfort. Moreover it was highlighted that the construction and materials used in rehabilitation systems have achieved the objective in just 120 days. The design process has crystallised a chain of synergies among organisations, administrations, technicians, citizens and the place itself. It began with the definition of an agreed and adequate functional programme and it culminated in the name’s choice by the citizens of Begues and the cataloguing process of a downy oak for its cultural value. Two main ideas underpin the conception of the new facility: to generate a confluence “inner square” and to tune into the environment revitalising the Stream. The project outlines a single building which gathers the three services, creating a community space, a place where people meet, which will enhance citizen interaction, cultural synergy and sustainability in its construction and management. 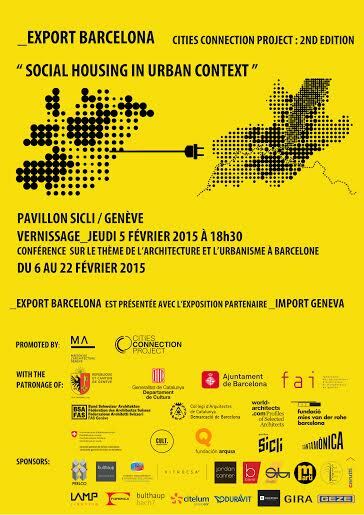 Twenty Catalan studios will travel to Geneva (Switzerland), representing a broad cross section of the social housing models that have been built in Barcelona over the last ten years. 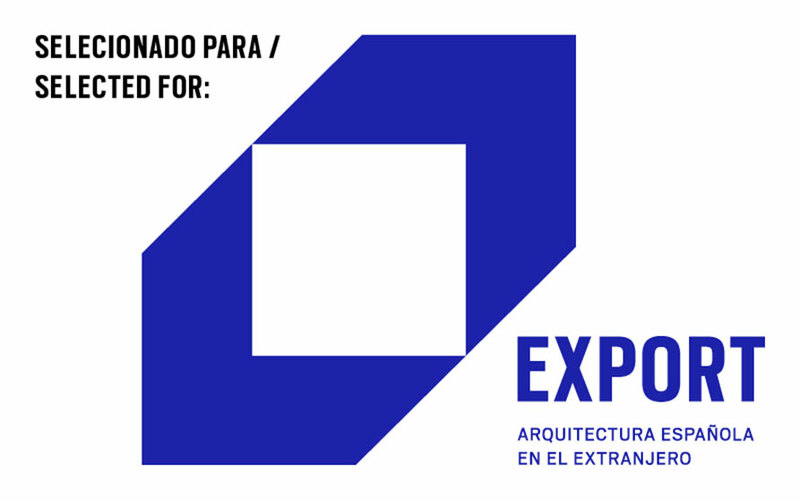 Twenty selected works will be exhibited in the Geneva Pavillon SICLI under the title _Export BARCELONA ‘Social Housing in Urban Context’ thanks to the collaboration between the Cities Connection Project and the Maison de l’Architecture. A panorama of the architecture done by Spanish architects beyond the Spanish borders. The exhibition, curated by Edgar González, shows the Spanish architecture influence and evolution in the international context. 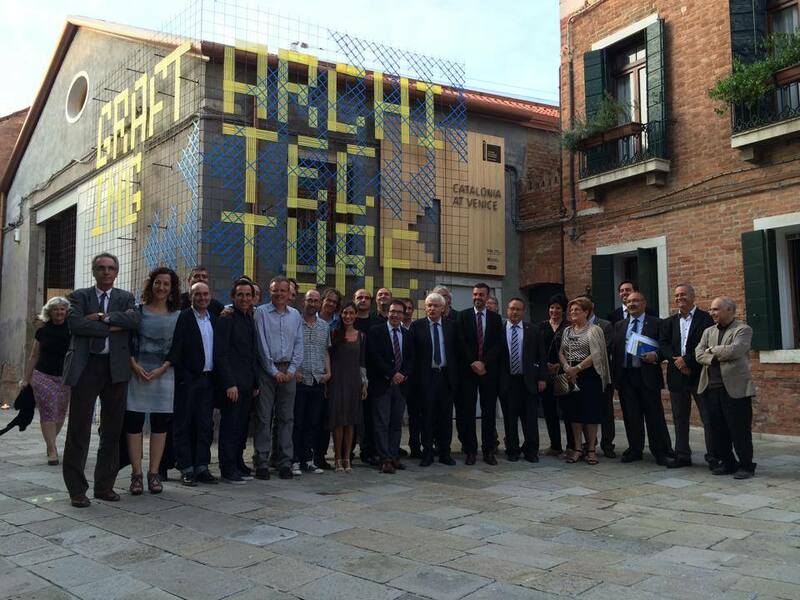 Part of the exhibition focuses on biggest international projection Spanish architects. Caldereia Petita (AJAC young catalan architects award 2004), featured in the “Grafting Architecture-Catalonia at Venice” Exhibition of the 14th International Architecture Biennale di Venezia. 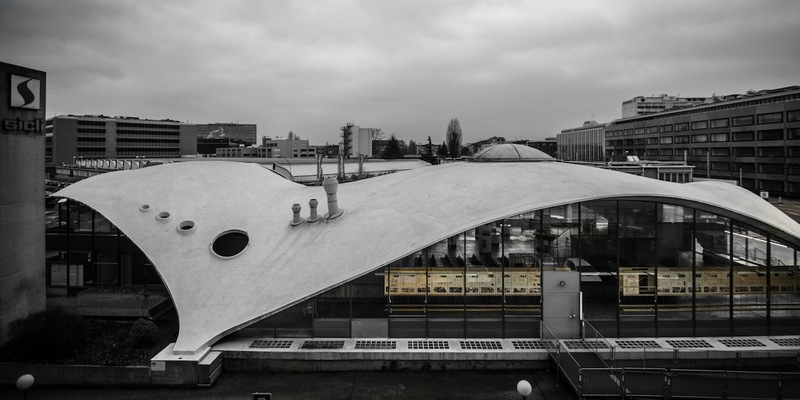 Curated by Josep Torrents, Jordi Boldú and Guillem Carabí, the exhibition represents the Catalan Architecture in the 14th international event. ” No son pocos los que sostienen que la mejor arquitectura es la anónima, la que, despreocupada de representar un apellido ilustre, elige arraigarse en un lugar, completarlo o transformarlo, en vez de llamar la atención sobre sí misma. El profesor Bernard Rudofsky no estaba solo cuando sostenía que las arquitecturas vernáculas, anónimas e indígenas tenían su razón de ser en una función épica alejada de cualquier lirismo. Sus teorías mantienen hoy su vigencia. Como prueba, cada vez son más los jóvenes proyectistas que, en lugar de pedir una revolución, eligen dar el paso atrás que se necesita para coger impulso y lograr dar dos hacia delante.